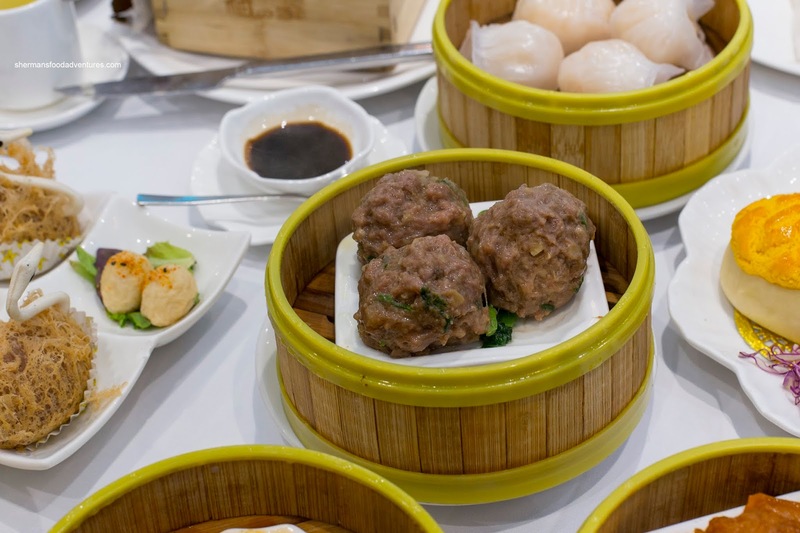 A few posts ago, I remarked how I wanted to tackle the last few Dim Sum spots that I haven't been to in Richmond. Strangely, there was one right in front of my face and I chose to ignore it. 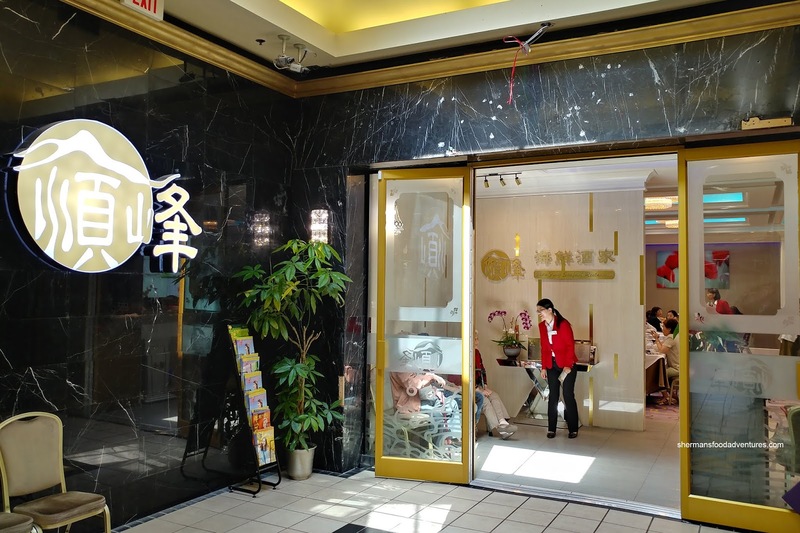 Shun Feng Seafood Restaurant, located in Parker Place Mall, has been there in various iterations since the mall opened. Originally, it was the 2nd location of Floata and yes, I went for Dim Sum there eons ago. 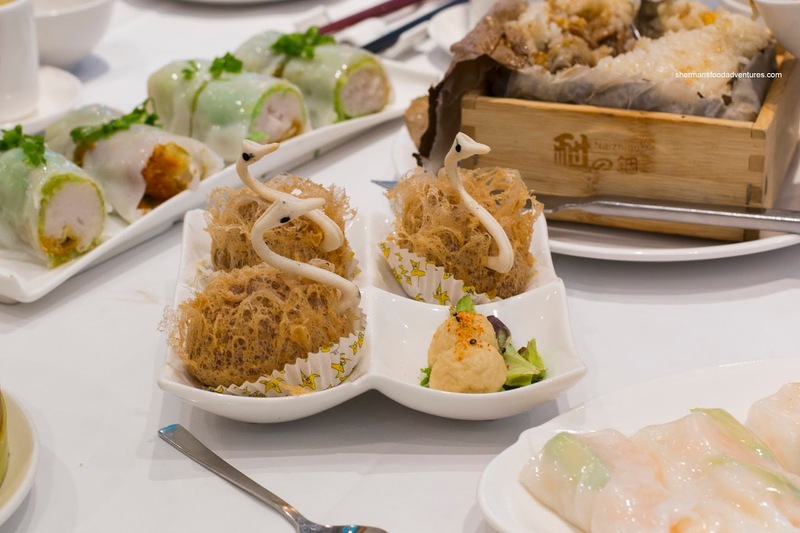 Newly renovated and completely different, we decided that Shun Feng would be the next place we would tackled on our Richmond Dim Sum Adventures. At first, I was wondering why the heck they were charging almost $10.00 for the Lo Mei Gai (Sticky Rice wrapped in lotus leaves). 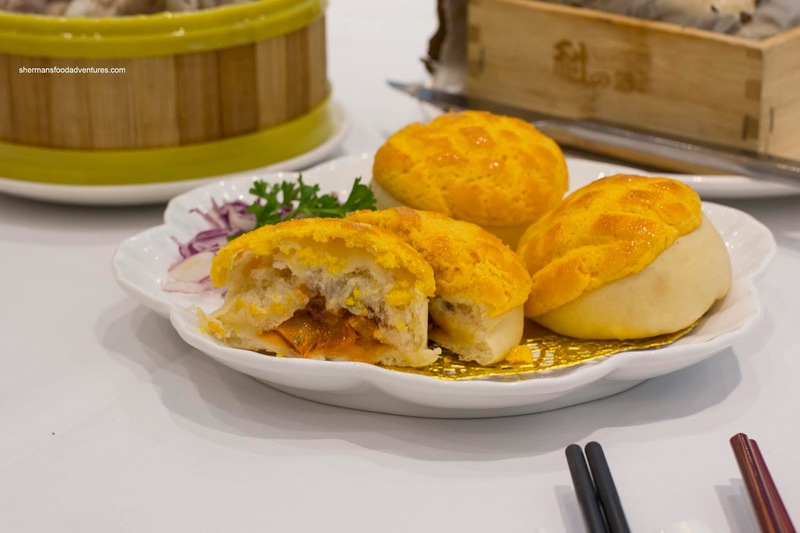 When it arrived, it made much more sense as it was enormous, reminiscent of the past where there was one large lo mei gai rather than the typical 3 mini-versions we find today. One scoop into the middle revealed a large dried scallop atop a considerable amount of pork, mushrooms and salted egg yolk. This resulted in an impactful mixture that was meaty, briny and full of umaminess. My son was really happy with the BBQ Pork Pineapple Bun as it was texturally on point. The sugary topping was crispy and didn't disintegrate while the bun was soft and fluffy beyond the crunchy exterior. Inside, the pork was fatty and tender being sauced by a sweet glaze. 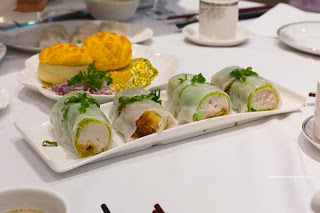 We ended up with 2 types of the rice noodle rolls including the Shrimp & Asparagus Rice Noodle Roll as well as the Donut Minced Fish Rice Noodle Roll. 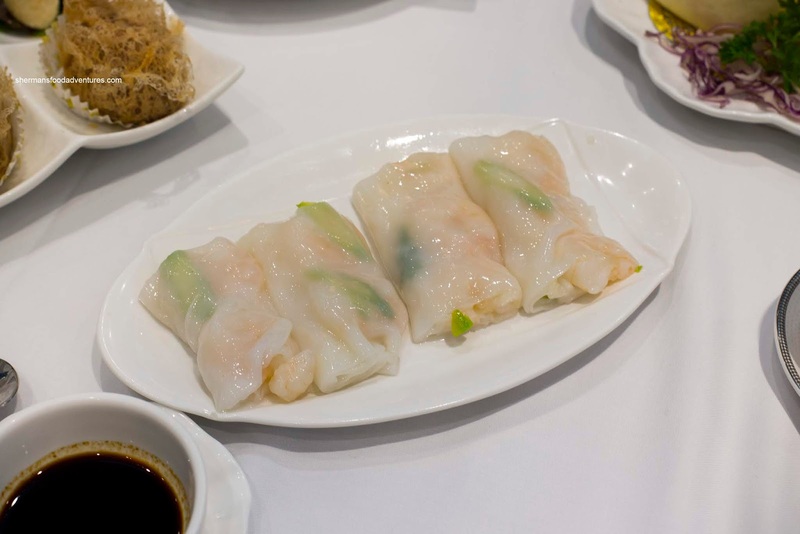 For the shrimp roll, there were 4 smaller portions that featured whole medium-sized shrimp. 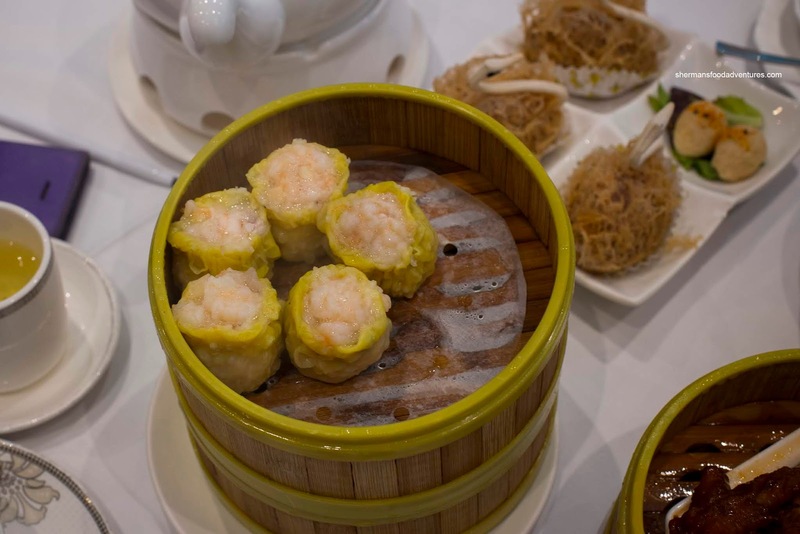 We thought the entire roll was on point with soft and buttery sheets of noodle that had slight elasticity. The shrimp were cold-water crunchy while retaining a meatiness. Although there was a side of sweetened soy, the shrimp were seasoned enough to stand on their own. As for the larger donut roll, it featured a considerable amount of minced fish mousse in the centre. We thought it was a little too dense. Other than that, the noodle was just as good as the shrimp roll and the donut was lightly crisp. Sporting cute swan head crackers, the Deep Fried Taro Dumplings were stuffed with a tender and saucy ground pork filling. It was mixed with a Portuguese sauce (the Macao version) that was heavy on the coconut milk and light on the curry. As such, the flavours were more subtle and in some sense not very impactful. 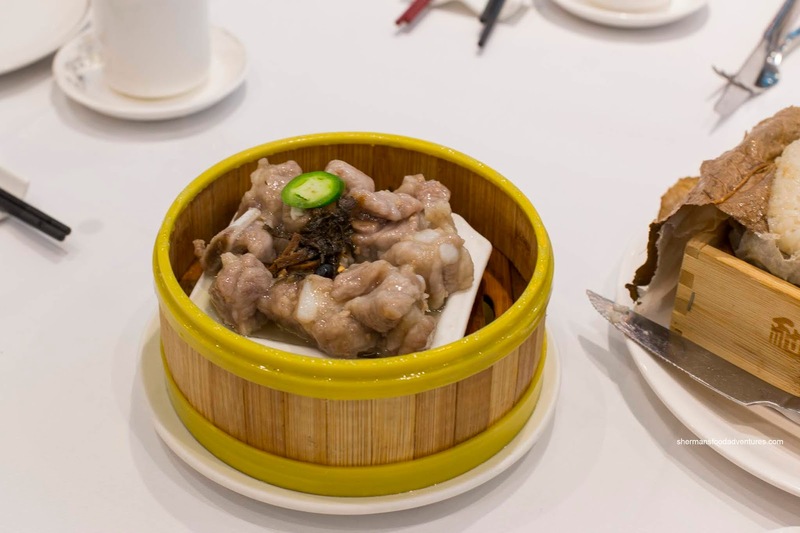 But that was fine in our minds as the robust nature of the dumpling with a smooth taro mash and crispy exterior didn't need a overwhelming filling. As for the swan heads, the cracker was actually not tasty, more for decor only. Stuffed with smoked salmon and shrimp encased in seaweed then fried with tempura batter, the Seaweed Rolls were polarizing. I thought they were interesting with a light crunch that gave way to a meaty centre that was smoky and salty. Viv remarked it was too fishy and dense. Fairly large in size, the Ha Gau (Steamed Shrimp Dumplings) were pretty good. 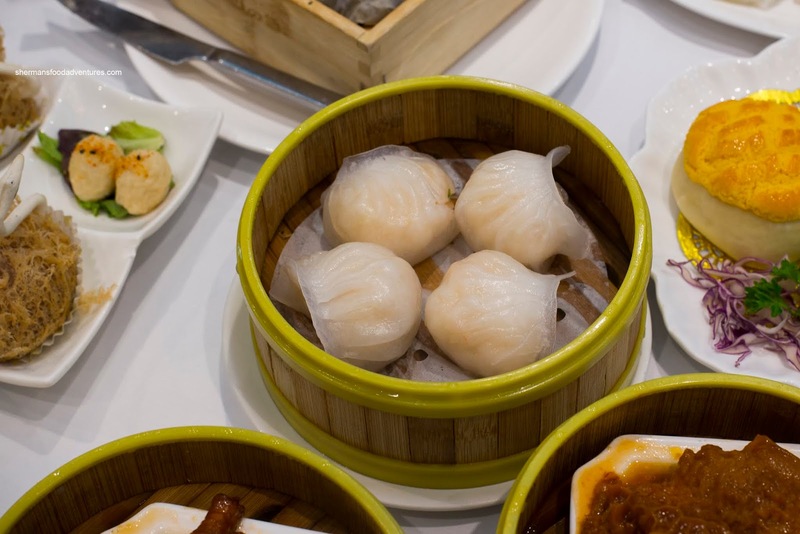 The dumplings featured a medium-thick skin that had a good initial chew. There was elasticity but at the same time was too dense nor doughy. 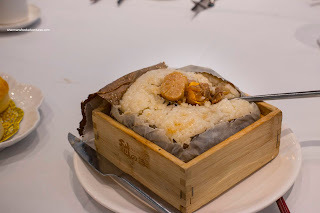 Inside, the filling consisted of shrimp mousse mixed with pieces of shrimp. It was nicely seasoned with the aroma of sesame oil definitely coming through as well as a pronounced sweetness. Texturally, there was an appealing bounce that was buttery and moist. Topped with a whole piece of shrimp, the Siu Mai (Pork & Shrimp Dumplings) was equally tasty. Much like everything else, the shrimp had a nice rebound and was not overdone. Underneath, the pork had the desired bounciness that was juicy and well-seasoned, yet we could still taste the natural meat flavours. Large and plump, the Phoenix Talons (Steamed Chicken Feet) were nearly flawless. Often, we get scrawny over-fried feet, but this was still full of fat and cartilage underneath the buttery skin. 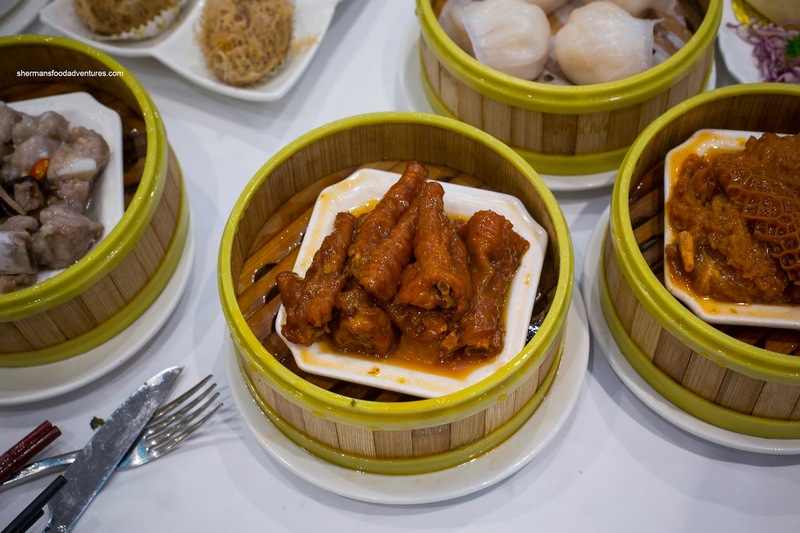 Furthermore, both components were neither under or overdone resulting in a tender texture. I found the sauce to be quite balanced with sweet, savoury and slightly spicy elements. Packed to the brim, the Steamed Pork Spareribs were also good. 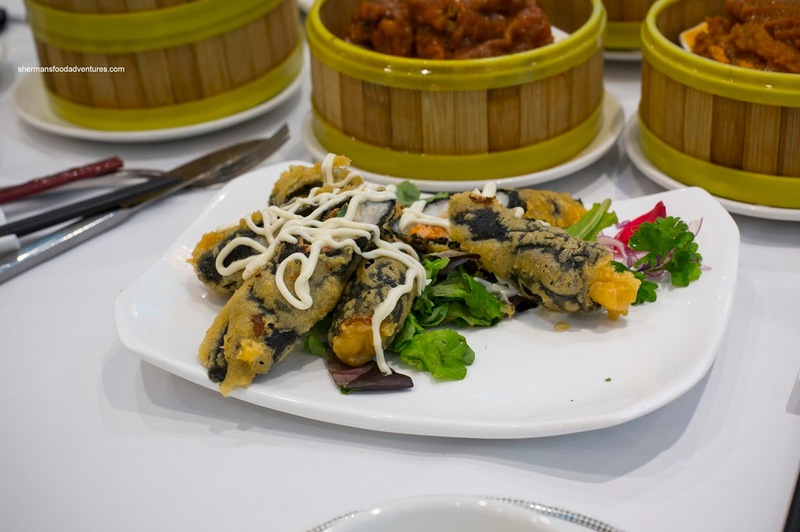 In addition to the usual black beans and garlic, they incorporated preserved vegetable. So we got typical flavours associated with this dish (which were impactful), but also the tangy and umami hits from the preserved veggie. It was definitely different and tasty. The spareribs themselves were meaty and bouncy while not overly fatty. Last but not least, we had the Steamed Beef Meatballs with Watercress. Medium in size, but also beautifully executed, these were texturally on point. There was a certain meatiness that was tender and of course bouncy. The meat wasn't too dense, not too fluffy. It was rather mild in flavour with a balanced amount of cilantro and green onion. This and most of the other dishes, except for the seaweed rolls were pretty solid. We thought the pricing was fair considering all of the other competition nearby and also the food quality. Interestingly, the service was a bit hit and miss, but overall decent. 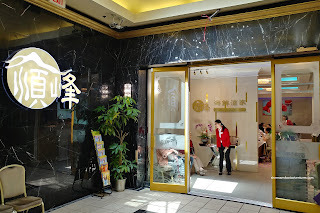 Maybe we had low expectations going in, but Shun Feng did surprise us and it slots in just fine with the rest of the Dim Sum joints in Richmond.